It’s International Coffee Day (#InternationalCoffeeDay) so we thought it would be rude not to pay homage to something that graces the kitchen cupboards, breakfast benches, bedside tables and dining tables of many (if not all) country cottages. We’re certain there will be some of you who like or choose or endeavour to use your holiday time to kick the coffee habit – good luck with that. And there will be others who use this most sacred of times to indulge and savour the best of the best things they love, coffee being one of them. Either way, however much caffeinated crema you crave, whether it’s steamed, frothed or with added syrup, holidays are the prime opportunity to sit and enjoy every hot sip. 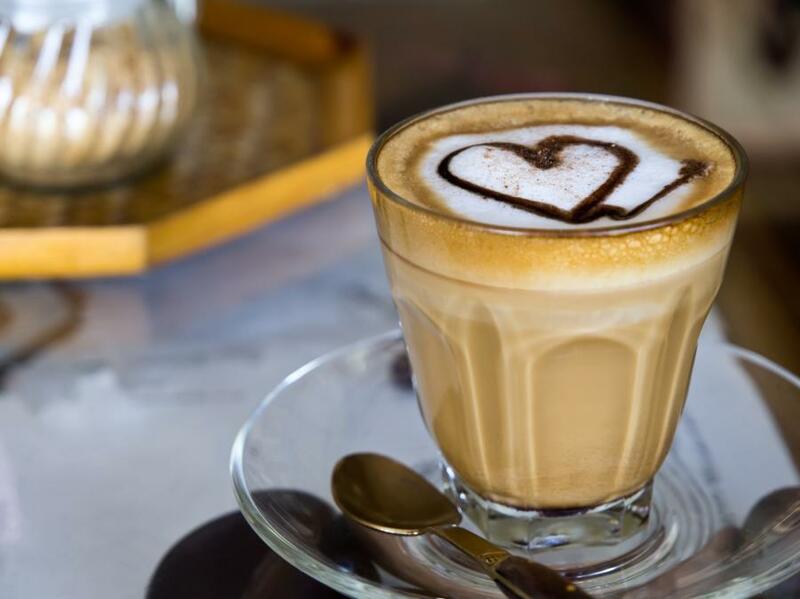 If you can’t start the day without your latte it’s definitely worth asking, as part of your holiday cottage enquiry, whether your holiday home is equipped for the savvy coffee connoisseur. You’ll doubtless find a jar of instant coffee and some mugs, but do enquire as to the availability of a cafetiere or perhaps even a coffee capsule machine. Admittedly, it’ll be rare for any cottage retreats to host a Gaggia, but you can at least ask! If, worst case scenario, you have to pack your own cafetiere, all is not lost. The local community that is your holiday destination could be your coffee oyster (not literally, that doesn’t sound all that tasty). A teeny bit of research will reveal whether there are any independent coffee shops or coffee bean shops in the vicinity of your holiday destination. At least you’ll then be able to buy locally roasted and/or ground beans. And if all else fails grab a take out. For the love of coffee, here are some of our favourite coffee spots around Britain. We’ve had the joy of experiencing two of the three Riverhill cafes: Helensburgh and Gordon Street. Quite different settings, so quite different experiences. But one common thread: great coffee and happy-to-help service. Helensburgh is an unassuming seaside town about half an hour west of Glasgow that’s perhaps most well known for its proximity to a nuclear submarine base. Not the usual tourism calling card, but it is what it is. So, discovering this delightful deli and café on the slope as you head out of the shops was a real find. Well tendered coffee, sandwiches bulging with fresh, locally sourced ingredients, a plentiful supply of Irn Bru (you’d be ashamed not to stock it in Scotland), creative with their creation of dining space and warmingly toddler friendly. Gratefully, the Gordon Street café in Glasgow was much the same. Surprisingly toddler friendly for a much more confined setting, offering a taster spoon of the soup to one of our team’s dubious young entourage. Here we sampled the simply delicious cakes and pastries for mid morning coffee, but you can equally grab a soup lunch or afternoon pick-me-up. The kind of place where wandering in barefoot goes unnoticed. And where the owner goes out of his way to get to know his customers however transitional they may be. This beachside café isn’t offering award winning coffee, but it is good coffee. For those blustery English beach holidays the coffee and the marshmallow laden hot chocolates are the perfect layer against the elements when a day on the beach building sandcastles, despite the weather, is just what you do. And whether you need a bacon sarnie or an ice cream with (optional) Cornish clotted cream, they serve those too. These two delights are on opposite sides of the same precinct in this historic market town. Probably least renowned for its coffee and more renowned for being only the second town to be awarded a Royal Charter (way back in 1155). And for also being the source of much wood and lead used to enlarge Henry VIII’s Windsor Castle before being demolished in the 1650s by Cromwell. Jump to more recent times and you may be one of the 20,000 or so visitors who know it for BunkFest, its annual September folk festival. Whatever reason you find yourself in this part of South Oxfordshire, rest assured you won’t be disappointed on the coffee front either. Bean & Brew has been open for just over a year serving any and every coffee you choose to digest alongside a tasty selection of cakes and paninis. busybrush is its newbie neighbour specialising in pottery painting and decopatch. Get crafty while you get your caffeine kick is the gist. But they also do coffee to take away. While they make it we dare you to avoid the teasingly positioned treats with irresistible names such as Choccywockydoodah…! Top tip: just across the market square is the Wallingford Tea & Coffee Shop. This longstanding Wallingford independent store bags its own tea blends and roasts and grinds its own beans. Enjoy! First-up, this one is worth making a booking for. Pierreponts is popular – with yummy mummies, cycling enthusiasts and brunching families, not forgetting the locals. The coffee is really good, lovingly made and rather cutely served in vintage tea cups, saucer too. Whether you’re using it to wash down their boiled eggs and Marmite soldiers, one of their seasonal and freshly made salad lunches, or a slice or two from their spectacular selection of cakes, you’d have to be the greatest of coffee snobs to be disappointed. We couldn’t talk coffee without mentioning one of our favourite cafes in the capital. For fans of New Zealand, Foxcroft & Ginger is the closest we’ve found on British soil to an authentic flat white. And quite often it’s served with a native Kiwi accent too. For those partaking in an accompanying treat, there’s a superb selection of cakes including a delicious (yes, we mean it) choice of gluten free options. Looking for more cappuccino inspiration in Britain? Fear not, we’ll document more favourites as we come across them – watch this space.